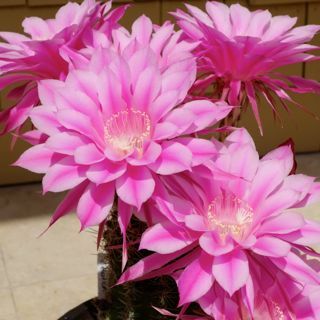 Hello and welcome to echinopsis.com … a website devoted to providing background on and care tips for Echinopsis cacti. 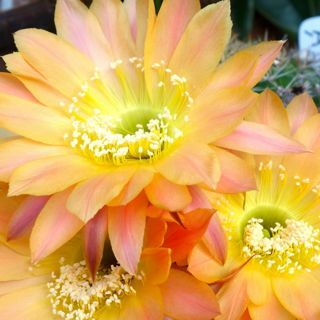 Please also visit echinopsisfreak.com where I display my latest timelapse videos of cactus flowers opening and my better cactus flower photography. 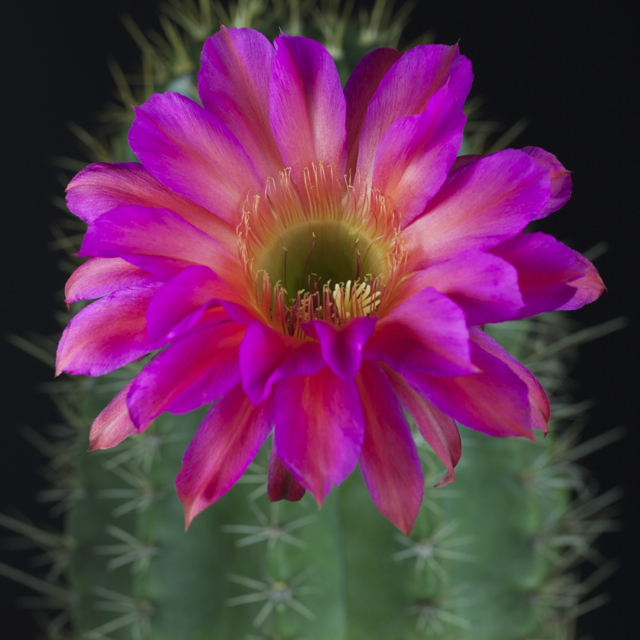 – The flowers of most Echinopsis varieties are incredibly colorful … often featuring two or more hues working in harmony. 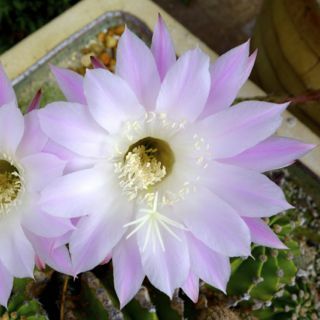 – The flowers are often giant … 5″-6″ in diameter … and frequently dwarf the cactus that grows them. 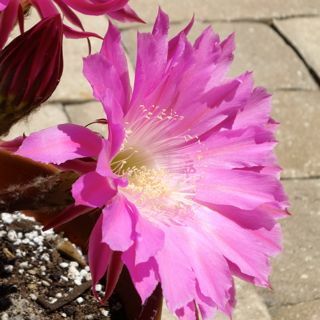 – They frequently appear in flushes of multiple flowers opening at the same time. 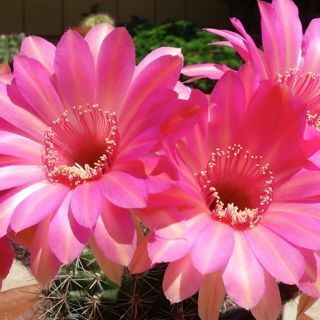 – Most types of cacti produce just one flush of flowers each year. 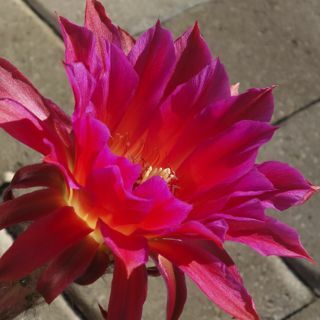 But Echinopsis can produce flush after flush of flower for as long as the daytime temperatures remain above 70F/21C. 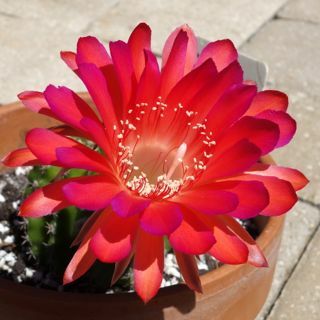 Echinopsis is pronounced Ech … in … op … sis. But where does the name come from? Once you understand the its Greek roots, you’ll discover the name makes great sense. “Echin” comes from the Greek word “Ekihnos,” which meant both sea urchin and hedgehog. (Yes, it does seem like Greek speakers way back when might have come up with distinct words for these two pretty different creatures, but apparently they did not). 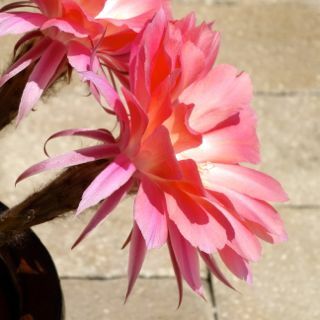 So Echinopsis means hedgehog resembling or sea urchin appearance. 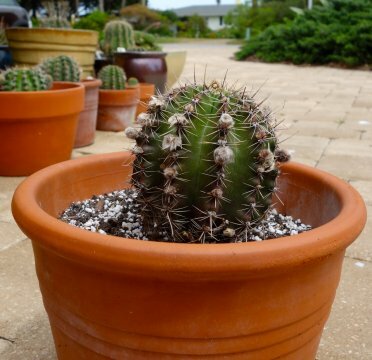 A very accurate description for this genus of cacti that are often ball shaped growing to about 6” in diameter and, yep, covered with hedgehog-like and sea urchin-esq thorns. 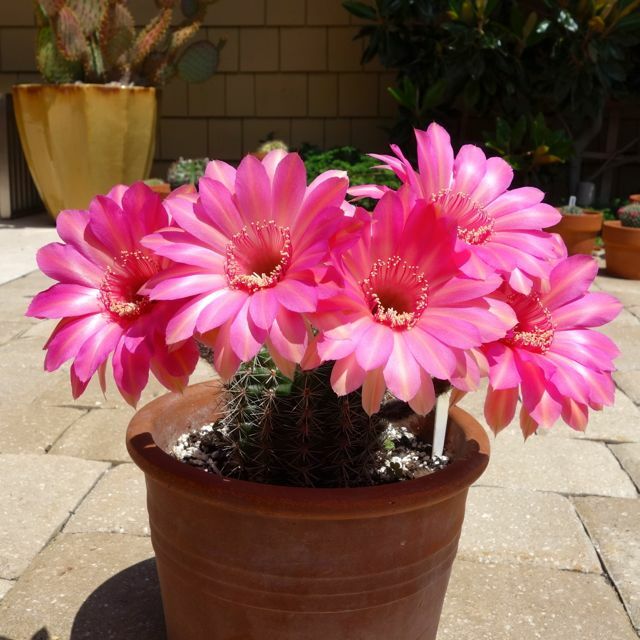 The Echinopsis cacti in the foreground and background display the typical sea urchin shape. The “Aquila” hybrid in the foreground has just begun to grow dozens of flowers … each “cotton” puff is the beginning of one. 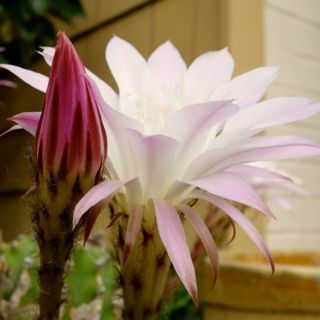 A nickname for Echinopsis is Easter Lily Cactus … a moniker that may stem from the fact the first flowers of the season open around Easter time each year, from the shape of the flowers Echinopsis produce and/or from the fact that one of the most common types of Echinopsis has white-pink flowers. 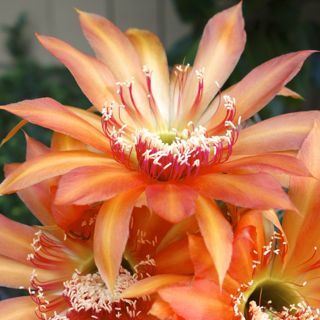 And, boy, the flowers … they are extraordinary. Often 4″, 5″ or even 6″ in diameter and frequently much larger than the cactus that produced them. 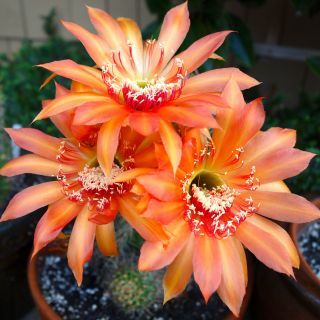 I’ve had six 5″ flowers bloom simultaneously on a 2″ cactus. 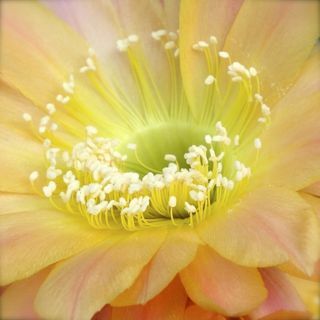 Each flower is an incredibly intricate work of art with several layers of petals … each layer often in a different color or hue. Yes, white and white-pink contributing to the Easter Lilly nickname. But also flowers in reds, violets, oranges, yellows and numerous mixtures. Such a shame the flowers only last a day after opening, but really that makes them all the more special (and certainly makes us thankful for the ability to preserve their beauty via photography). 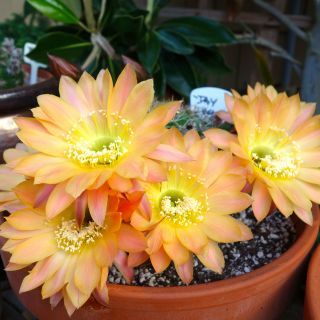 Five 5″+ diameter flowers overwhelming a 4″ diameter “Antares” hybrid. 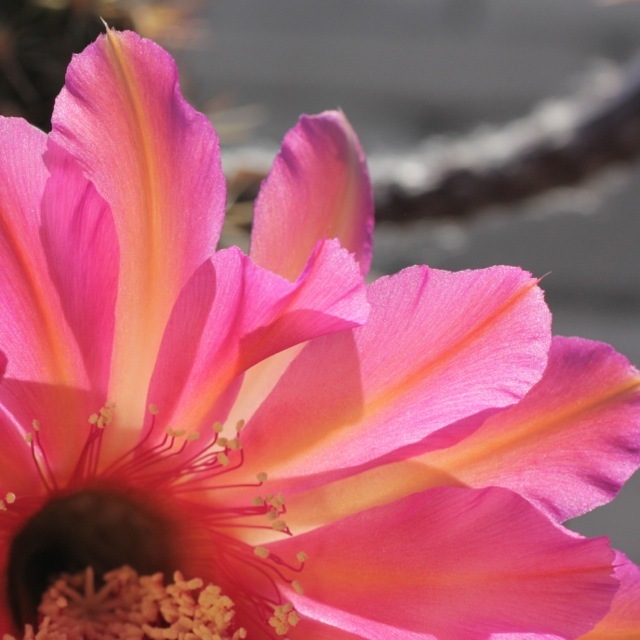 The Echinopsis genus of cactus includes well over 100 species and there are also 100s of hybrids that have been developed by individuals worldwide. 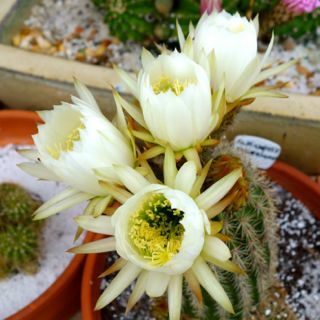 There are several types of cactus (e.g., Trichocereus) that at one point had been considered separate genera, but which in about 1990 were moved into the Echinopsis genus. 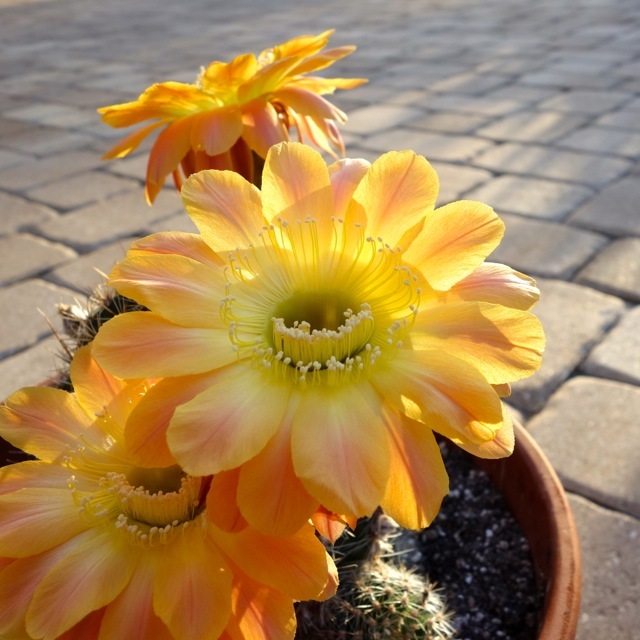 Among cacti groupies the debate as to whether this reclassification was appropriate continues to rage. 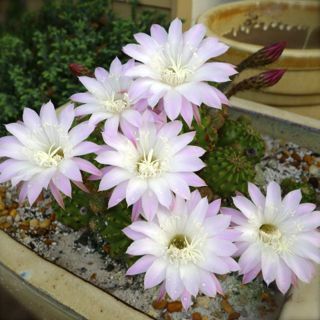 But here at Echinopis.com we’re glad to have them included as their flowers, though a tad different in shape from the old school Echinopsis species and hybrids, are equally striking. 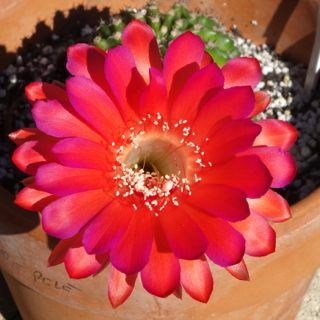 So that’s a little background on Echinopsis. 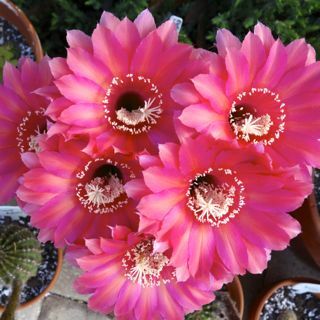 I hope you enjoy learning more about this amazing genus of cactus here at echinopsis.com … yep, pretty sick, a fan site for a type of cactus!